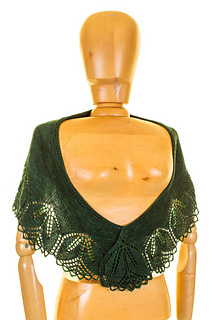 This pattern is part of the Haruni Variations Collecton, an ebook that contains 5 patterns. 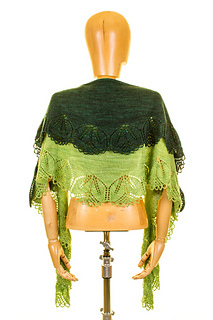 This shawl was designed for maximum wingspan with minimum yardage. 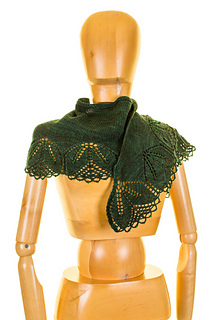 The small size uses under 400 yards of yarn, while still creating a wearable scarf. 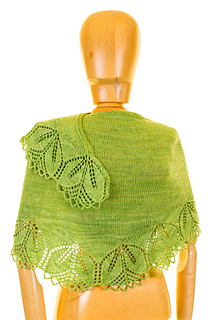 It is worked top down, and the stockinette body is shaped with short rows. If you would like to add beads you will need 260 (340) size 6/0 beads. In addition to the small and large sizes the pattern contains notes for further customizing the size. 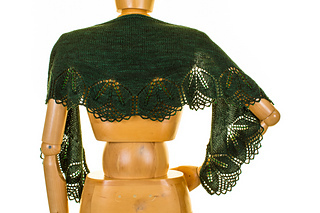 Pattern has been test knit, and contains large, easy to read charts and full line by line written directions, including stitch count totals for every row.